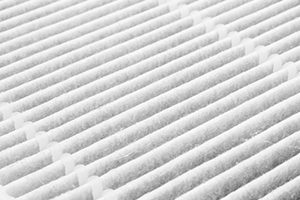 Danforth Filters is a distributor of air filters and filtration products headquartered in Tonawanda, NY. We stock many of the most popular and highest performing brands in the air filter industry, making us your premier choice for air filters in all of your facilities. Our staff includes Certified Air Filtration Specialists (CAFS) and NAFA Certified Technicians (NCT) who are capable of providing facility surveys and on-site staff training to ensure you select and maintain the proper HVAC filtration products for your needs. We stock products for a variety of customers and facility types including healthcare, pharmaceutical, industrial, commercial, hospitality, and both K-12 and higher education facilities. Additionally, we supply to non-end user customers such as contractors and building developers or managers. With competitive pricing and knowledgeable staff who provide exceptional customer service, Danforth Filters will be your go-to supplier for all of your filtration needs. Learn more about Danforth’s Air Filtration capabilities, knowledgable experts, industry affiliations, and our featured products and manufacturers. Get answers about your Air Filtration Products and speak with a knowledgeable Air Filtration Expert. Need More information? Send us a quick message and we’ll reach out to you to help plan your next Air Filtration project.